A grotesque love story about Harold and Matylda, two caricatures of people, trying to face social ostracism. They uptake a quest to manipulate their obscene image to the better. 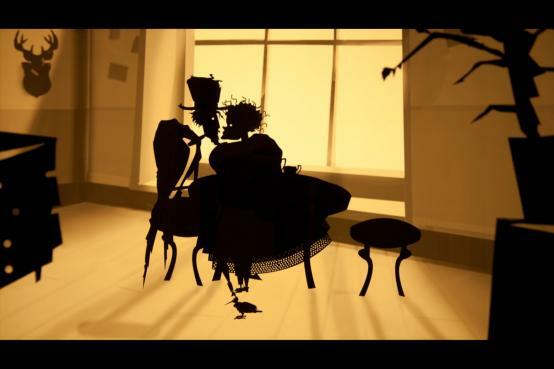 The rough form of cut-out animation inspired by the works of Roald Dahl, Lotte Reiniger and Edward Gorey brings us into a unpredictable and eclectic world of dark imagination, finally asking the question: who in fact are the Creatures? is a scholar of the Warsaw Film School and post-graduate of the Film Academy of Miroslav Ondricek in Pisk, Czech Republic. Director of the awarded animation “The Designer”(2012) and “Spider and Flies”(2013). Winner of the film competition of the Polish Television Channel for creative tallents “Dolina Kreatywna”. Owner of Indemind Studio.